We’ve all wasted hours watching recommended videos on YouTube, but now the company is making it even easier to procrastinate your time away. Starting this week, you’ll be able to navigate through recommended videos with a simple horizontal swipe. With each swipe forward you’ll see a new recommend video. Swipe back to return right where you left off on the previous video.It’s basically YouTube’s take on something like Snapchat or Instagram’s stories, which have popularized swiping across video content horizontally. It should theoretically make it just a little bit easier and faster to find something to watch – pretty much the 2019 version of channel surfing. 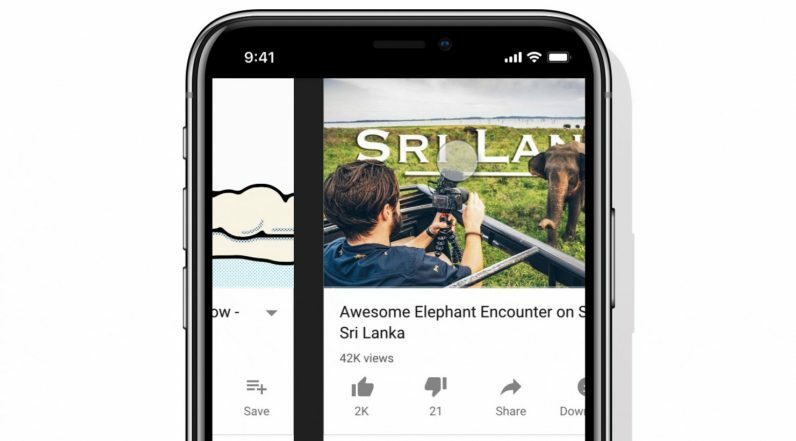 YouTube says 70 percent of viewing time happens on mobile, so it makes sense the company would try to maximize its content’s binge-factor. The feature is rolling out to iOS this week. No word on when it’ll hit Android, but we’ve contacted Google for clarification.